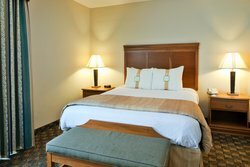 It’s easy to feel at home with our cozy lodgings in Valdosta with rooms that offer the perfect harmony of modern amenities and home comforts. 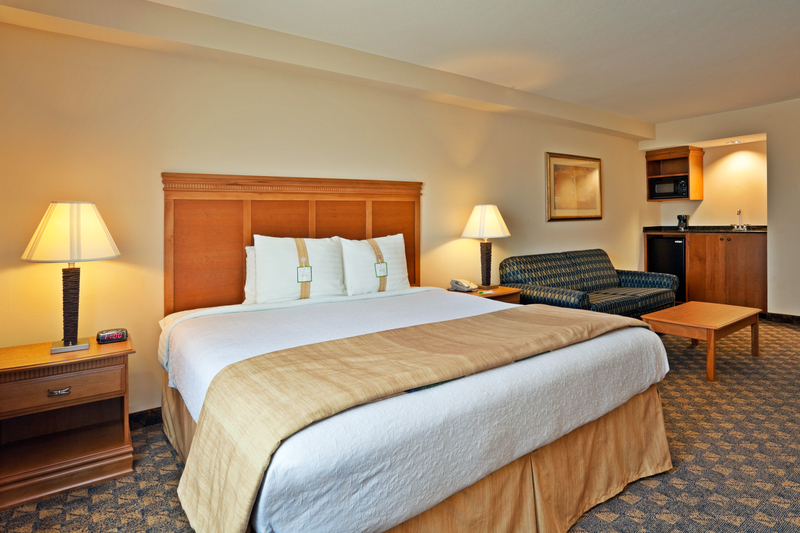 Relax in spacious rooms with warm wood tones and tranquil furnishings that promise a quality night’s sleep. There’s an option for every guest, whether you’re looking for a family suite, executive room, or accessible option. Our bright and welcoming lodgings are the perfect home base during your travels in Georgia. Each room features is a host of thoughtful amenities for ease and comfort. Keep cold drinks in the mini-fridge or prepare snacks with the convenient microwave. Our Valdosta lodgings all have flat-screen TVs, perfect for movie nights and catching the morning news. Free Wi-Fi is available throughout our property so that you stay connected no matter where you are in our full-service hotel. 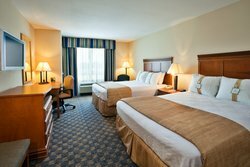 Book your stay today at one of the best places to stay in Valdosta for families and business travelers alike. Designed for your comfort, this room features two spacious queen beds with soft pillows and triple sheeting. 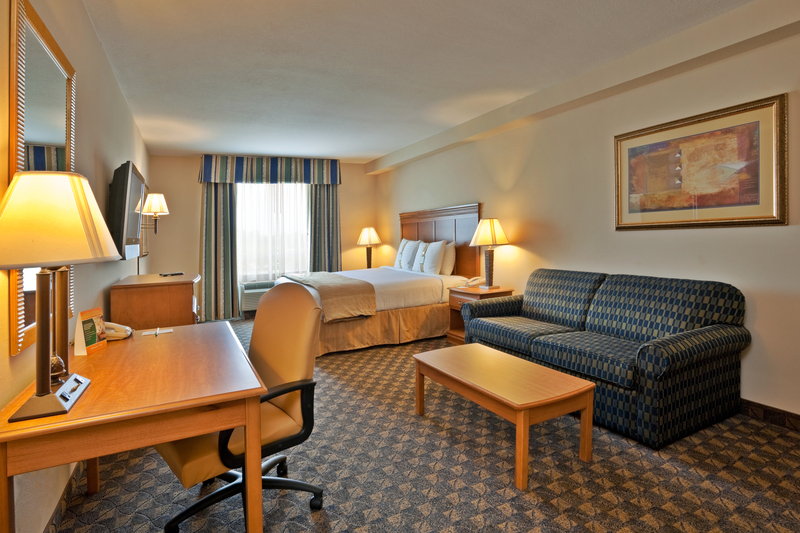 It’s easy to feel connected with in-room amenities such as Wi-Fi, a flat-screen HDTV, microwave, and mini-refrigerator. One of our comfortable rooms will be allocated to you upon your arrival, based on availability. All of our hotel rooms in Valdosta, GA include complimentary Wi-Fi, flat-screen TVs, microwaves, and mini-refrigerators. 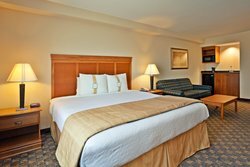 Relax in spacious rooms with warm wood tones and tranquil furnishings that promise a quality night’s sleep. Get a quality night’s sleep in this spacious room with a triple-sheeted king bed and sleeper sofa bed for additional guests. It’s easy to be productive outside the office at the work desk with an ergonomic chair or on your phone with our complimentary Wi-Fi. Our Executive Rooms also have the convenient addition of a wet bar. It’s easy to be productive outside the office at the work desk with an ergonomic chair or on your photo to our complimentary Wi-Fi. Our Executive Rooms have the convenient addition of a wet bar. Work at the desk with an ergonomic chair or connect to our complimentary Wi-Fi while lounging on the sofa. It’s easy to feel connected with in-room amenities such as Wi-Fi, a flat-screen HDTV, microwave, and mini-refrigerator. Relax in the comfort of your room during your next business trip to Valdosta with a convenient wet bar and other thoughtful amenities! Sleep comfortably in triple-sheeted queen beds with lots of pillows and enough space for four guests. Stay nearby your morning meeting at our full-service hotel with home comforts. Relax in the comfort of your room during your next business trip to Valdosta with a convenient wet bar and other thoughtful amenities! Sleep soundly in a master bedroom with a queen bed and separate sleeper sofa for additional guests. 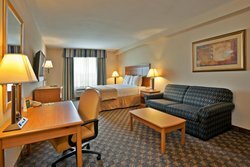 Our hotel suites in Valdosta, GA are the perfect home base during your visit, whether you’re in town for business or leisure. Enhance your stay in Valdosta with a private jetted tub in your suite. Guests can sleep soundly in a king bed made with triple-sheeting and lots of soft pillows. Included in the Jacuzzi suite are all the comforts of home, such as complimentary Wi-Fi, a flat-screen TV, and activity table. 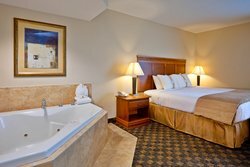 Enhance your stay in Valdosta with a private jetted tub in your suite. Sleep soundly in a king bed made with triple-sheeting and lots of soft pillows. Our hearing and mobility accessible lodgings are the perfect place to stay in Valdosta, GA. Sleep soundly in a king bed with triple sheeting and soft pillows. This room’s accessible features include a washroom with a bench and handheld showerhead, visual alarms, and closed captioning on the TV. All other standard room amenities are included, such as free Wi-Fi, a flat-screen TV, and a microwave. Find the accessible features you’re looking for in our Accessible King Room with a roll-in shower. Ideal for wheelchair users, this spacious room has grab bars and a handheld showerhead. The room also includes additional hearing and mobility-accessible features, like visual alarms and alerts and closed captioning on the TV. All other standard room amenities are included, such as free Wi-Fi, a flat-screen TV, and a microwave. 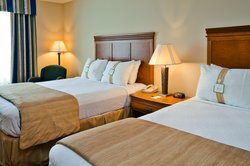 Travel to Valdosta with ease when you stay in our accessible lodgings with features for every guest. This room has an accessible washroom with a roll-in shower, ideal for wheelchair users. Navigate with ease through this spacious guest room with two double beds, complimentary Wi-Fi, and additional convenient amenities. 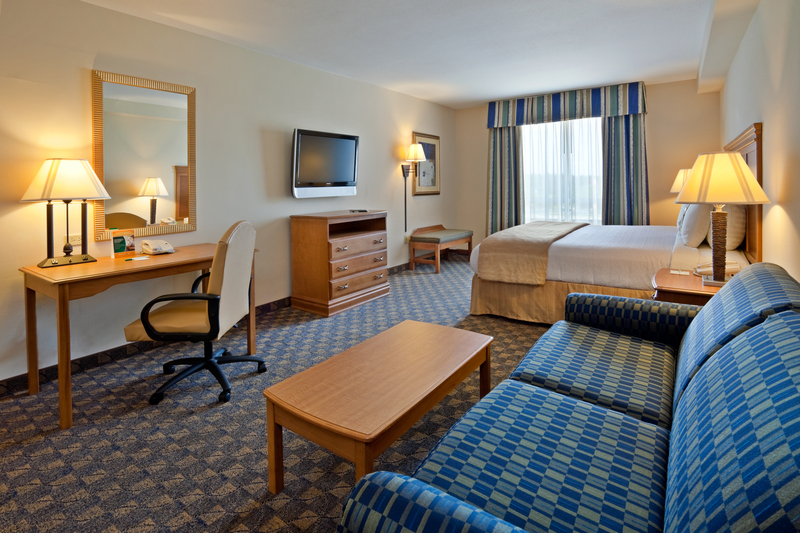 Sleep in comfort in our accessible room with two double beds and a washroom with thoughtfully-placed grab bars. Hearing and mobility accessible features include visual alerts and alarms, closed-captioned TV, and a washroom tub with a bench and handheld showerhead. Discover the complete guest experience when you stay in our accessible King Suite. The accessible washroom has bench in the tub and convenient grab bars to easily navigate the space. Sleep soundly in a triple-sheeted king bed at our lodgings in Valdosta, GA.